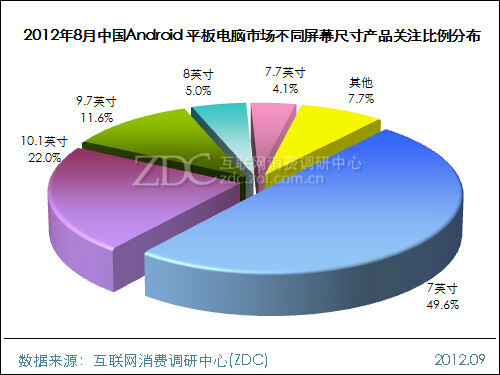 ZDC said that Google Nexus 7 was gaining the most popularity in Chinese Android tablet market. ZDC recently published "Chinese Android tablet computer market analysis report in August". First data is the popularity ratio of each tablet device maker. Next data is the popularity ranking of each tablet devices. 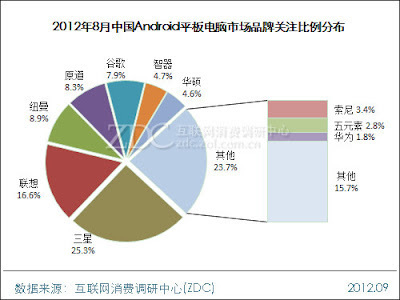 Google Nexus 7 was gaining the most popularity in this report. 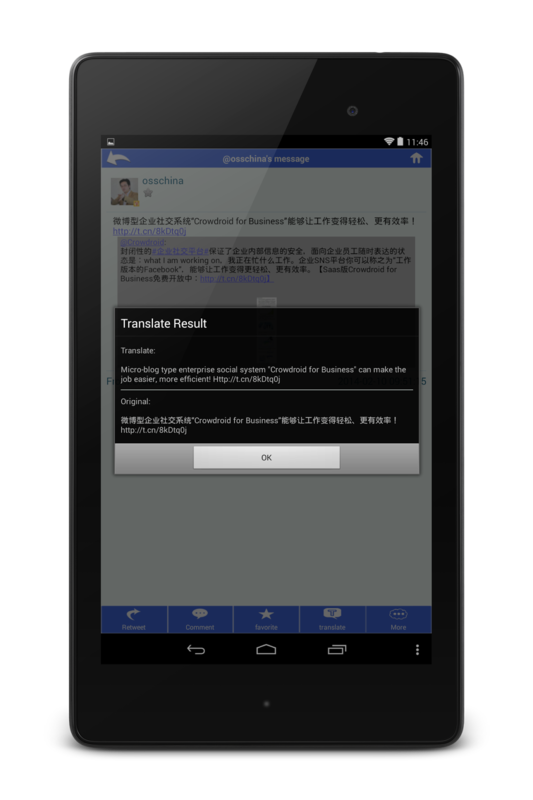 Actually, Nexus 7 is not still sold formally in China, but people can buy its parallel imports version. 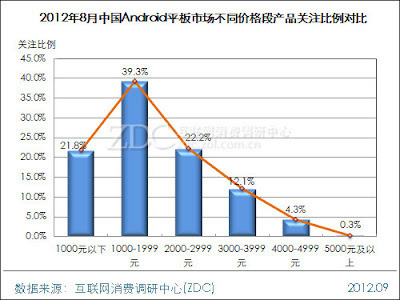 And it has a high cost performance, so it could gain the high popularity. Next data is the popularity ratio of each display sizes. The tablet of 7 inch display have the almost half popularity, and 10.1 inch display got the second position. 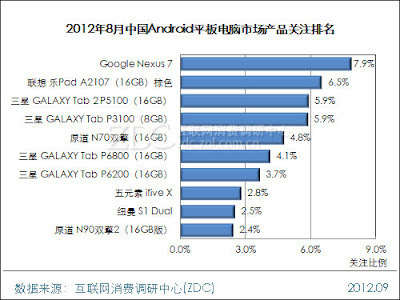 Last data is the popularity of each tablet price range.